Hope your Thanksgiving Break was thankful and fun and that you are all energized and ready for school to start! Thank you to all the students, teachers and parents who turned out for and participated in the 2014 MSASC Walk-a-thon. We’re especially thankful to all our volunteers without whom this event would not have been possible! 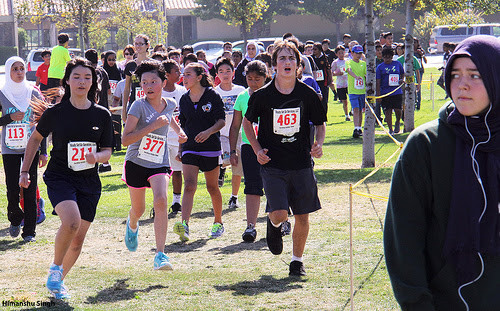 Watch out for their names in the special edition Walk-thon 2014 newsletter coming next week. Meanwhile, keep collecting those pledges! The date to turn in the pledge money has been extended from Dec.1 to Friday Dec. 5 to allow students more time to get the money in from family, friends, neighbors etc. Money is to be turned in to Homeroom teachers. Every pledge turned in with $20 or more is eligible for a Free Dress Pass! 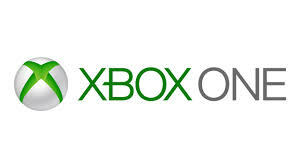 Remember, we have great prizes this year for the most funds raised by students including an XBox One, Samsung tablets etc. among others. Fitness, food & fundraising= fun! Walk-a-thon day today! Walk-a-thon day today! It promises to be a beautiful autumn California day! Fitness, food & fundraising make for a fun event. Come support the students as they run and walk to help the school and the student community. Tomorrow Friday, Nov. 21st: Food at the Walk-a-thon, prizes, etc. The Walk-a-thon is tomorrow, look forward to seeing you there at 1 pm! Click here for more details on the exciting prizes! Volunteers needed for Walk-a-thon 2014! 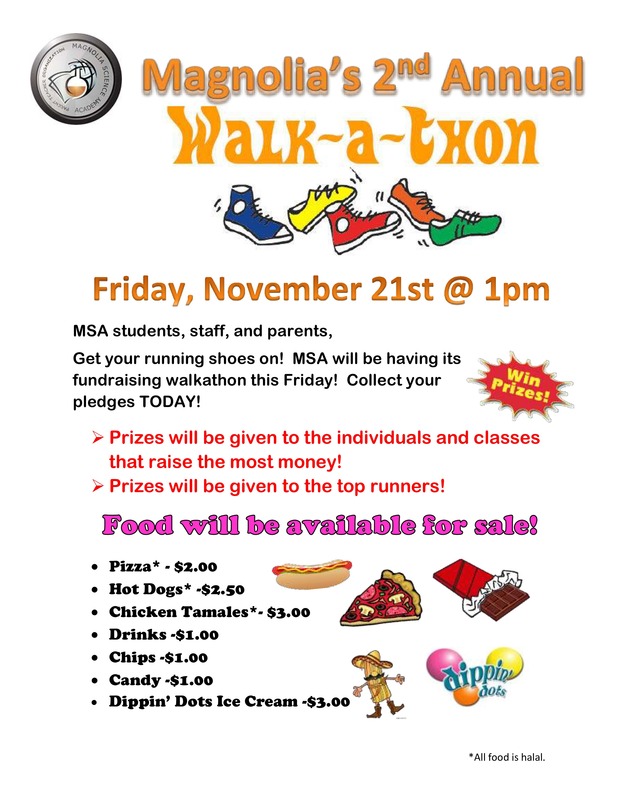 MSA-SC’s biggest event of this year, the Annual Walk-a-thon is coming up on Friday, November 21st. Our biggest fundraiser, last year’s Walk-a-thon was a great success with students walking/ running non-stop to fulfill the Pledges they had collected from family and friends. Many parents and staff also participated enthusiastically. The PTO raised ~$25,000 to help the school (and eventually the students), in technology and equipment, teacher training, extracurricular programs etc. It’s that extra support which helps the students & the school shine more brightly! Pledge forms will be going home with your student/s soon. They will start reaching out to their circles to get the pledge commitments. Meanwhile, we need parents’ help, too. Without you, an event of this magnitude can never be put together. 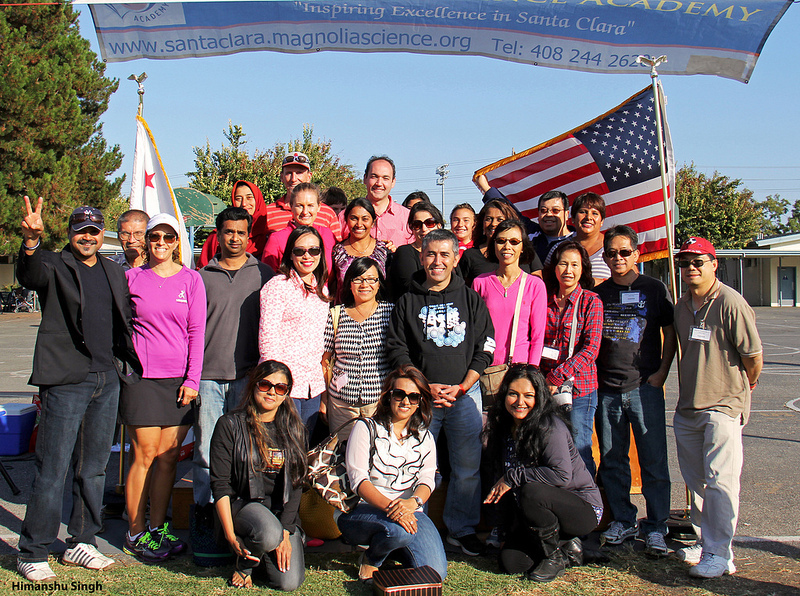 Last year, parents generously gave their time and effort to make a successful event happen. We look forward and depend upon your support this year, too. ‘We make a living by what we get, but we make a life by what we give.’ – Winston Churchill. The first set of Walk-a-thon pics are up. There will be more soon, so please check back soon! The Walk-a-thon results are up! What a magnificent effort by all the students, they did the school proud! Not to mention, the teachers and staff; Mr. Ak himself did 34 laps and Ms. Yazar did 35. The long awaited Walk-a-thon is here! Parents, teachers and students have worked hard to put together a grand and memorable event. Countless hours, innumerable meetings and immeasurable effort by our volunteers culminates today in a fun and healthy fundraiser. Soundtrack to walk to, some songs walk/ run related and some just for the beat and/ or for the kids 🙂 Leave your favorite songs to walk, jog and run to in the comments section!